On Thursday, August 11 (weather permitting), Jane Burke, an avid quilt collector and historian, brings her beautiful collection of antique quilts to the Lakefield Farmers' Market. The rich and colourful display features over 25 quilts, with pieces ranging from the 1860's to the present. 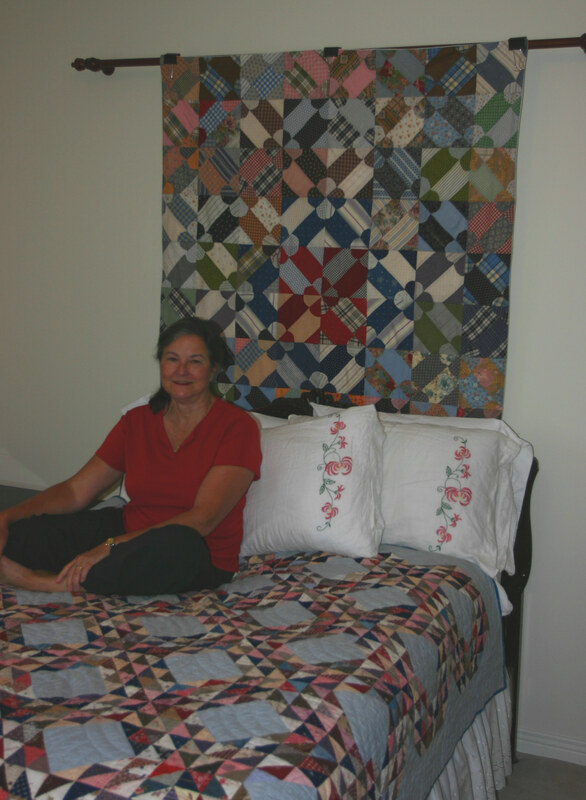 Burke, past president of the Mississauga Quilters Guild began quilting as a therapy for burnout in 1991. She has made about a hundred quilts and specializes in hand appliquéd original designs. Her collection of quilts includes the absurd, the unusual, the fabulous and quilts with amazing stories to tell. If you bring along an old quilt, Burke may be able to help you date it by the fabrics and styles used in it. This one-day event runs in conjunction with the Lakefield Horticultural Society's Antique Sale and Flower Show, which takes place Wednesday, August 10 and Thursday, August 11 in the Lakefield Arena.